Wedding Photography at Inglewood Manor, Cheshire. Surrounded by 38 acres of grounds and gardens and hidden away down an elegant drive, nestled between lawns, ponds and pavilions, the beautiful Edwardian country house Inglewood Manor is one of Cheshire’s hidden treasures. Built in 1915 and Grade 2 listed building, this stunning venue plays host to the most romantic fairytale weddings and equally provides an abundance of space for guests to enjoy and get their picture perfect photos. Inglewood Manor weddings are perfect, no matter which season. During the Winter you can enjoy the roaring log fire and sample festive delights and in the Summer you’ll be lead onto stunning sunlit terraces. Inglewood Manor is the most beautiful and elegent backdrop during your wedding ceremony. 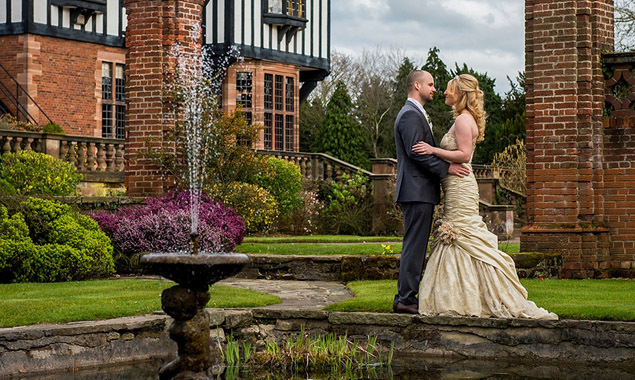 Another one of my absolute favourite Cheshire wedding venues, Inglewood Manor will see your wedding dreams come true. The team will ensure every detail has been thought of, making this wedding venue in Chester truly special. For real wedding photographs of Inglewood Manor please see the below galleries, for more information on my services please click my weddings page.